Billionaire Victor Dahdaleh is a crony of Tony Blair. Like Rupert Murdoch was; until very recently. Bahrain: It’s Not Corruption If The Entire Ruling Family Knows About It! Mr Hall described Alba’s board as “dysfunctional,” agreeing with the premise that the majority Bahraini members “accepted that what Isa and the prime minister said, went”. The trial also highlighted tensions within the ruling family. Sheikh Salman bin Hamad al-Khalifa, the reformist-minded crown prince, led attempts to reform Alba well before the unrest of the Arab uprising reopened Bahrain’s sectarian divide. The court heard that Mr Hall was summoned to the crown prince on his appointment as chief executive in 2001 and asked to report any corruption he might witness. But Mr Hall said that he felt he could only report to the crown prince if Sheikh Isa knew. A turning point that helped hasten the trial’s collapse was a letter from one of Bahrain’s five deputy prime ministers, Jamel Saleem al-Arayed, who also advises the prime minister on legal affairs. He wrote that all payments made by Mr Dahdaleh in connection with Alba were known about by its board. The letter was read out during cross-examination of Sasi Mallela, an SFO lawyer. This comes, of course, fourteen months after Alba’s $85m settlement of a separate bribery suit with Alcoa filed in a U.S. court. Yes, that’s right: Alba successfully sued Alcoa for bribing its [Alba’s] own executives, namely Sh. ‘Isa. Al-Wifaq is calling for an independent investigation — in Bahrain, that is, rather than the U.S. or Britain. For now, Bahrain seems happy to outsource the rule of law. One hopes that some non-“opposition” groups will be willing to cross the political line here to join al-Wifaq and others in calling for a domestic investigation, since that’s the only way there is a chance of one. Bahrain: Attack on Freedom of Expression Continues as Al Salman is Charged after Press Conference: here. Bahraini Prime Minister Dodges Corruption Bullet, for Now: here. See also here. Aluminium firm Alcoa to pay $384m after guilty plea over Bahrain bribes. Multinational group agrees settlement in US after admitting offence involving kickbacks to Bahraini officials: here. Dahdaleh August 2014 update: here. 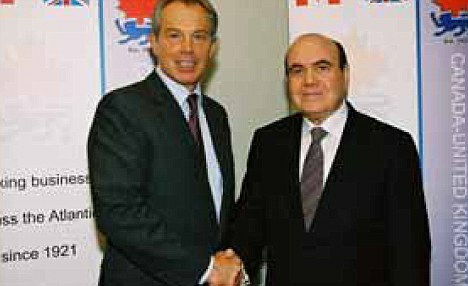 This entry was posted in Crime, Economic, social, trade union, etc., Human rights and tagged Bahrain, Tony Blair, UK by petrel41. Bookmark the permalink.